Rice is great. Especially when you are hungry and want 2,000 of something 😉😋🍚. 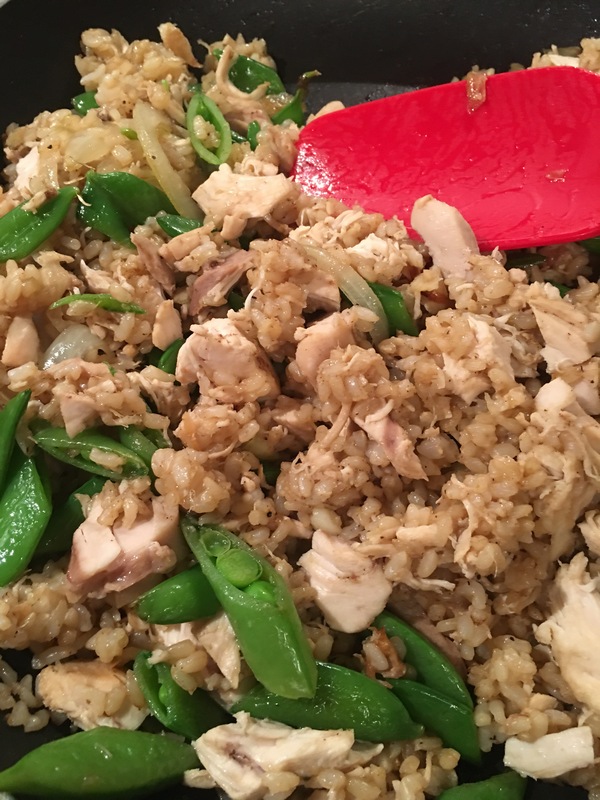 21 Day Fix Approved Fried Rice! 1. Heat coconut oil in large skillet. Add onions and sauté until translucent. Add garlic ginger paste and stir for 1 more minute. 2. Add snap peas and sauté for 3 mins, until they are tender but still have some crunch to them. 3. Add chicken and brown rice in to pan. Mix until just combined. 4. Season with liquid aminos, 5 spice and pepper. One serving is 1 cup of fried rice.